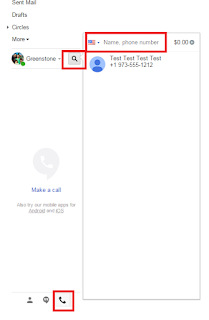 Ever since Google deprecated the call plugin from Chats in Chrome, there have been a great deal of inquiries on the forums and in social media about placing calls using Gmail. I am happy to say that it is rather simple to accomplish. Users need to make sure they change from Chats to Hangouts in Gmail. You can easily switch by clicking the drop down arrow to the right of your profile picture in the chat widget. In that menu, choose "Try the New Hangouts". Once you select that your screen will refresh to display the hangouts widget instead of the old Chat widget. Now that you can see the Hangouts widget, you will notice three icons at the very bottom. The far right icon is a picture of a phone. 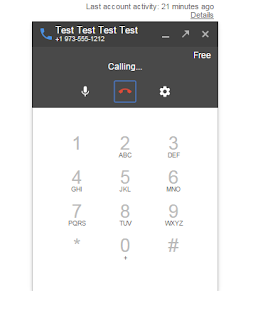 Click on that and you will see the option to make a call. Click on that and the search box for your contacts will appear; or click on the magnifying glass to open the search box. Using the search box, you have the option to search for a name in your contacts or just simply enter a telephone number. Searching your contacts will only provide results that have a phone number. If just typing a number, just hit enter afterwards and the call will begin. 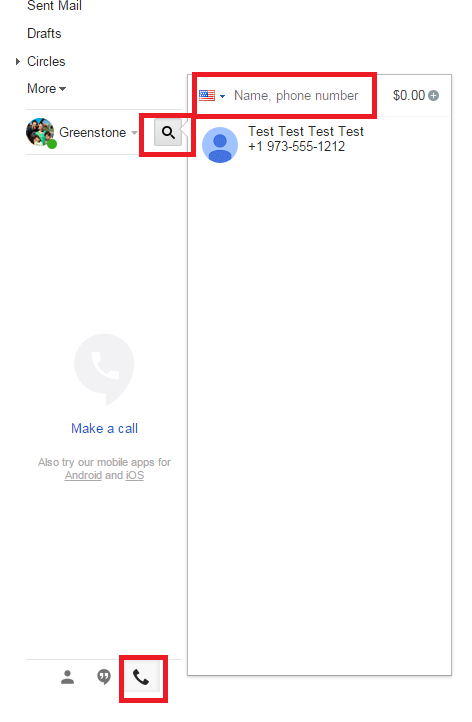 If searching a contact, just click on the contact you want. A phone call popup will appear with the option seen here.